This guide will show you how to jailbreak your iPhone 5, 4S, 4 or 3GS running iOS 6.1 using evasi0n for Windows by the evad3rs. This guide will show you how to jailbreak your iPad 4, 3, 2, or iPad Mini running iOS 6.1 using evasi0n for Windows by the evad3rs. This guide will show you how to jailbreak your iPhone 4S or iPad 2 untethered using Absinthe. This can be used whether the device is on iOS 5.0 or 5.0.1. This guide is on how to jailbreak your iPhone 4 untethered on iOS 4.3.1 using redsn0w for Windows. If you are at baseband 01.59 and already unlocked, don't upgrade at the moment because there is still an issue with iOS 4.3.1 and the older basebands. Hi everyone. This guide is for people who want to make Facetime work on unsupported carriers. I spent 6 days and about 8 hours every day trying to figure out how to make Facetime work on T-Mobile with no luck. Then I heard about an application on Cydia that makes it work, it's MiTime. 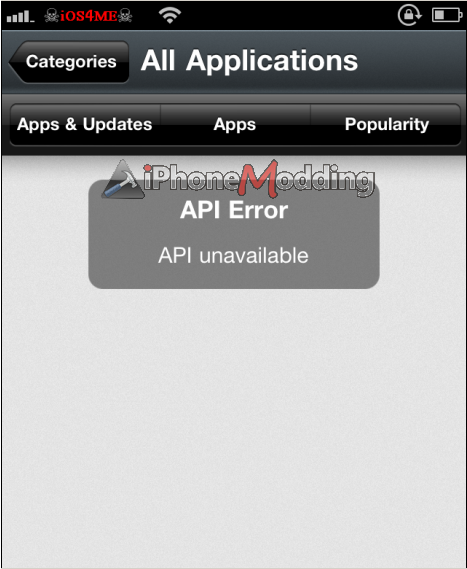 This application make the iPhone 4 send a SMS international to activated Facetime. But in order to not have a double time and date displayed you have to disable the time and date that comes with iOS. To do that go to Cydia and search for "Lockscreen Clock Hide", its free in Sections->Tweaks (also install Lockscreen Dim Delay, which lets you set a different time interval before your Lockscreen turns black). I just came across a thread at faq4mobiles.de written by AppZeit about how to change the boot logo on Greenpois0n jailbroken iPhones. He got 2 YouTube videos, but they are in german. As this is not very complicated I explain it just by text, but you are welcome to watch them. This guide for jailbreaking the iPhone 4, 3GS, iPod Touch 3G/4G or iPad iOS 4.2.1 untethered with greenpois0n is written with the RC5 version but an updated version is reportedly on the way. Unless it is drastically different, you should be able to use this guide, which is very simple.